I’ve been hammering on one point with all the D’Addario mouthpieces, but it’s worth bringing up again because it’s an important innovation in how mouthpieces are made and bought. 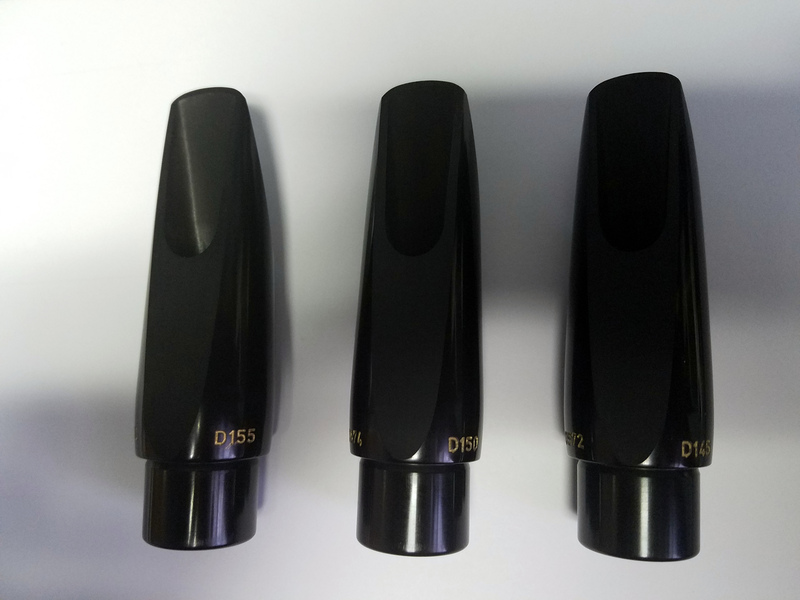 D’Addario’s manufacturing process (precisely milling mouthpieces from solid rod rubber) produces mouthpieces that are extremely consistent, much more so than other mass-produced professional mouthpieces, which are generally finished a little by hand. The old system is that you try out a bunch of mouthpieces that are the same make and model (by going into a store or putting a big deposit on your credit card), and pick out the one that plays best. The new system is that you order a D’Addario mouthpiece from your favorite retailer, and know that it plays just like all the others. 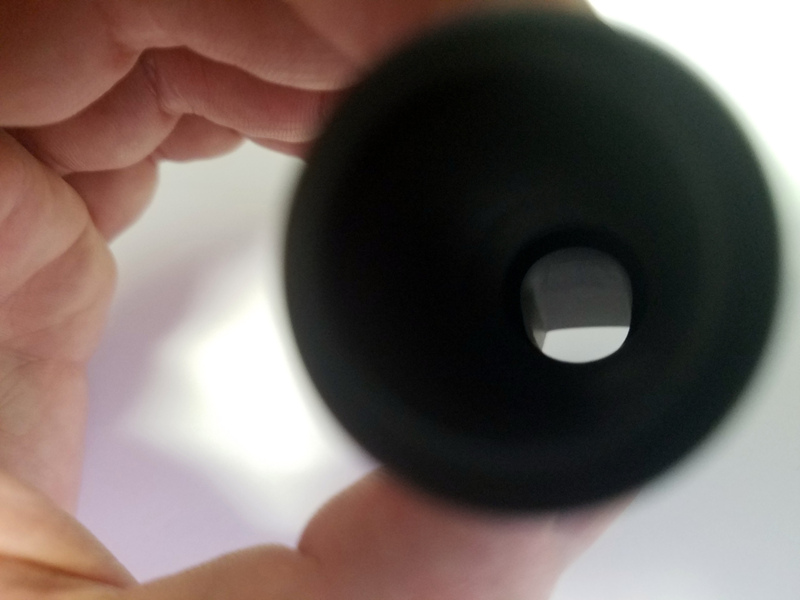 This is a game-changing development in the sub-$200 mouthpiece market. And, of course, like the other mouthpieces in D’Addario’s lineup, the new Reserve alto mouthpiece plays great. I’ve been playing on a Vandoren Optimum AL3 for the last 8 or 9 years (and used an AL4 for a few years before that). What I like about the Optimum is that it’s very easy to play, with good response in all registers, good dynamic range, a lot of stability (so pitch and tone are very consistent, without much effort from the player), and tone that tends toward a warm, almost muted quality (in a good way). It’s a mouthpiece for a 21st-century classical saxophone player. The D’Addario mouthpiece has these same qualities, with some subtle but important improvements. When I started playing on the AL4 I liked its richness of tone, but ultimately decided I needed to sacrifice that a little to embrace the AL3’s superior high register. The D’Addario Reserve does an impressive job of blending those qualities, and even improving upon both. In particular, I have been impressed with scalar movement in the altissimo register, which on my Vandoren mouthpieces could be just a little lumpy as I crossed from one partial to another. The D’Addario mouthpieces make this feel really smooth, effortless, and secure. I have been using mostly D’Addario Reserve reeds for classical saxophone playing, and with my Vandoren mouthpieces I sometimes wished I could get a reed strength between 2.5 and 3.0. I did hope that switching to the D’Addario mouthpiece would eliminate that need, but after trying them I still feel like a 2.5+ would be a useful option. (D’Addario does make some “plus” reeds, such as the Reserve alto saxophone 3.0+.) 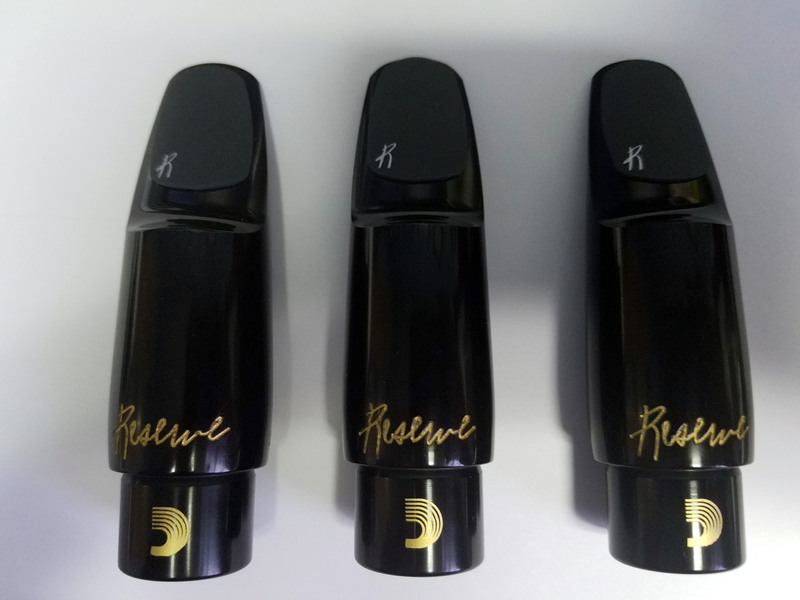 If I have one complaint about the Reserve mouthpiece, it’s that I don’t get quite the ease of low-register response I would like with the 3.0 reed. A 2.5 helps that but plays a little brighter than I want. I’m really quite impressed with all three of the Reserve options, and not 100% settled yet on which will be my go-to. But I recently used the D150 (with a Reserve 3.0 reed) for a concerto performance with band that involved some double tonguing and plenty of altissimo. The D150/3.0 setup worked well for that situation—just the right amount of resistance to make the double-tonguing comfortable and easy, good security in the altissimo, and enough guts to be heard over the band without getting spread or edgy. Here’s a quick comparison between the D’Addario Reserve D150 and the Vandoren Optimum AL3. I’m using the same ligature and reed in both clips. To my ear, the D’Addario has a richer, fuller, and more even sound, and also responds better to dynamic changes. So far D’Addario is scoring 100% with me on their mouthpieces: each new mouthpiece they have released has replaced my former setups (clarinet, jazz alto, jazz tenor, and now classical alto). I look forward to whatever is next. I would love to hear you do a head to head comparison with the Selmer Concept. You obviously sound great on both. I just received the Rico Reserve you critiqued in this post, and I was immediately wowed. I have several here at my studio to compare with (Jumbo Java, a couple V16’s, a couple Meyers, the Reserve, and a d’Addario Jazz Select. The Reserve stood out right away. Also like the Jazz Select and a V16 6M, but the Reserve will most likely be my pick. It seems perfect for what I need, and different enough from my current Meyer 6M. When I went to look up reviews on this mpc, I was pleasantly surprised to see yours! :) Makes me feel even more confident in my selection.